Food and Environmental Allergy Testing. NAET Therapy. Vitamin & Mineral Deficiency Testing. Emotional Balancing. 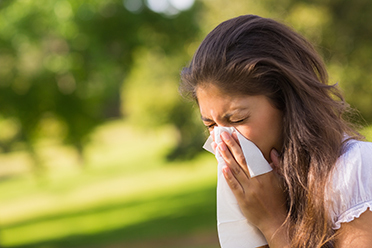 People are often not aware that any health problems they are experiencing might be caused by an allergy to a particular substance that they might be eating, drinking, using, or something that is in their living or working environment. Dr. Nambudripad’s discovery, NAET®, is an innovative and completely natural method for regaining better health and effectively relieving allergies and the diseases arising from those allergens. My consultations will identify foods, drinks, vitamins, minerals and environmental substances that could be giving you a number of unwanted symptoms due to the toxins they are causing in your body. Toxins put unnecessary work and pressure on the immune system, so balancing the body to the identified substance, be it a food, a bacteria, heavy metal or other substance, will enable the body to return to balance. NAET® is a unique method to balance energy blockages. NAET® works on the basis that anyone can be allergic to any substance, be it chemical or natural. In successfully treating a patient, particular diets don't have to be adhered to anymore. The treatments are done through painless acupressure point manipulation and breath work to bring the body back into homeostasis. A key advantage is that NAET® is non invasive, without unpleasant blood or skin tests, injections or medication. The aim is to find the food and environmentally sensitive substances which trigger a reaction and to target these with pain free and harmless treatments. NAET® increases your overall immune system and enhances your body's ability to absorb needed nutrients. NAET® is suitable for all ages even babies and can offer relief from food and environmental allergies, chemical sensitivities, and more.